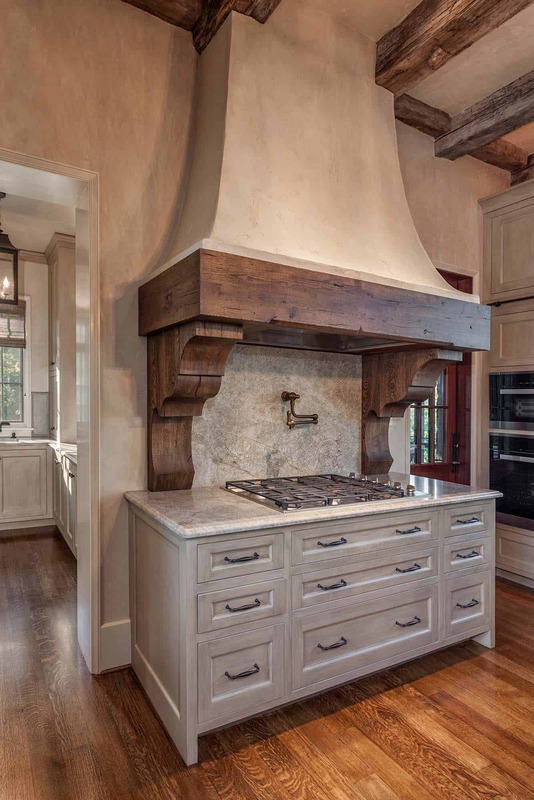 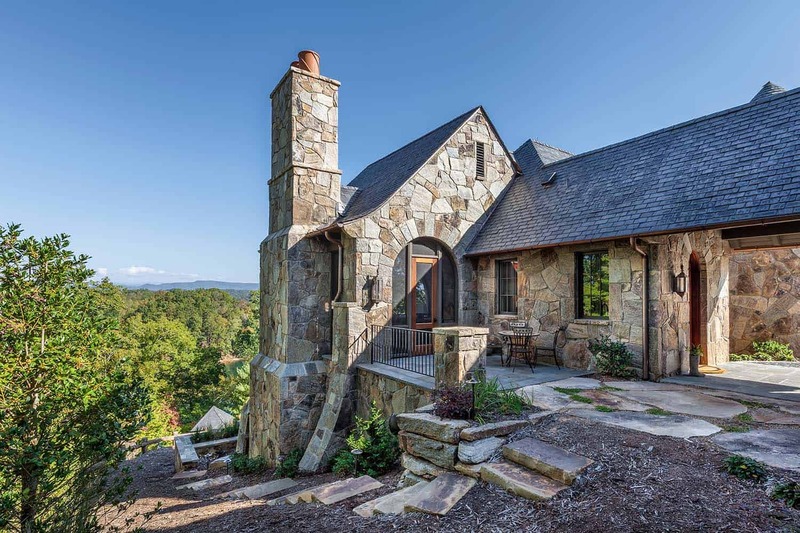 This charming European-inspired home by Wright Design is located in The Reserve at Lake Keowee, a gated golf community near the Blue Ridge Mountains in Sunset, South Carolina. 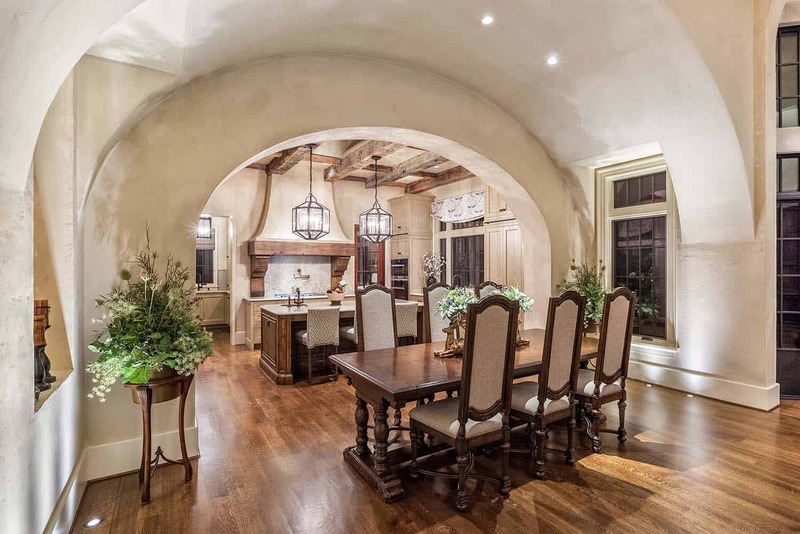 According to the architects, this home is characterized by “a juxtaposition of old-world architecture with more contemporary details.” The typical European style home features a steep roof with subtly flared curves at the eaves. 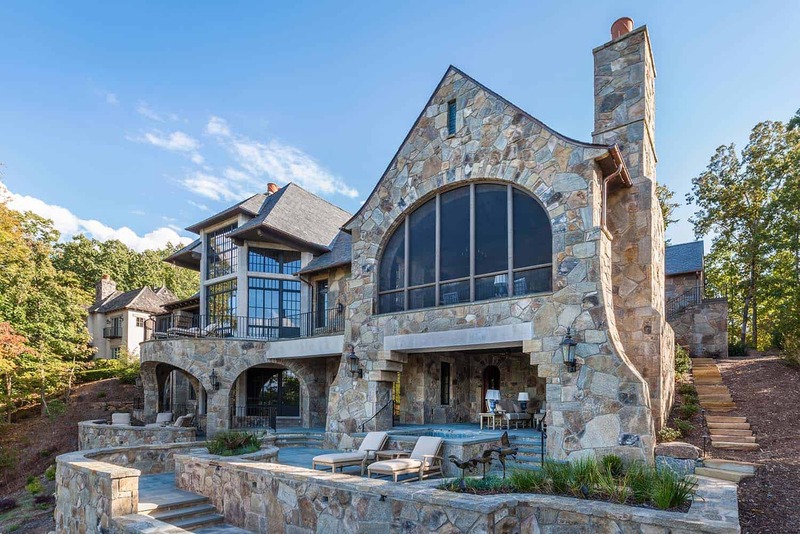 The exterior facade is faced with stone, brick or stucco. 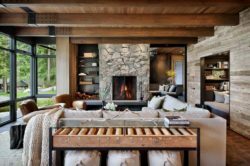 A mix of materials is quite common. 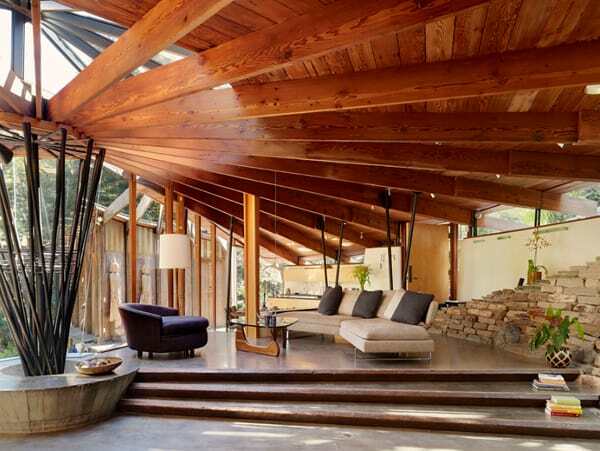 On the interior, the floor plan is catered to modern living. 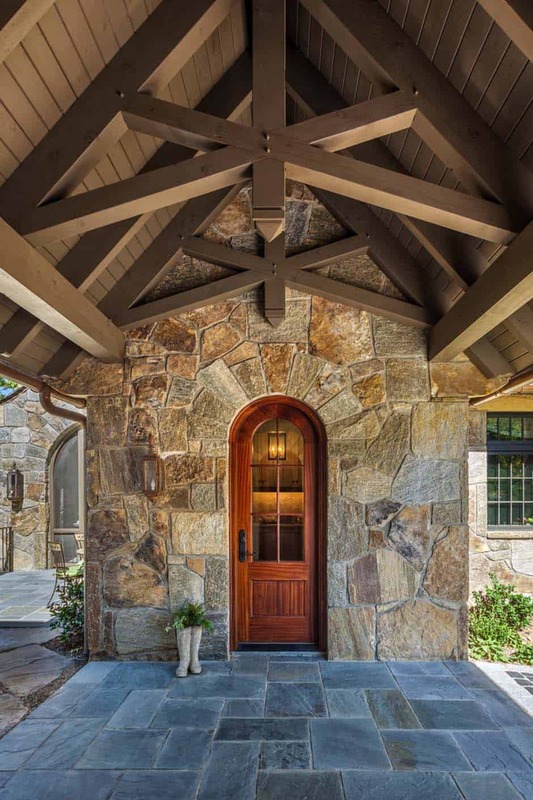 The exterior facade of this dwelling primarily consists of granite stonework with limestone accents. 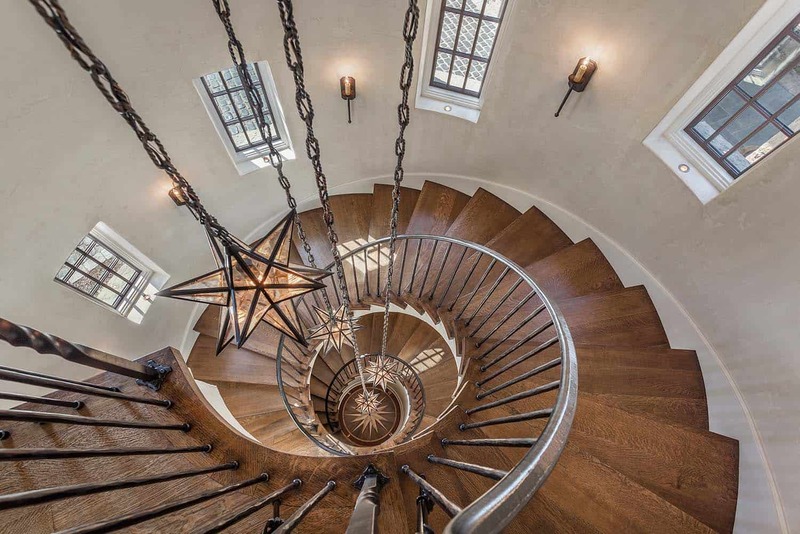 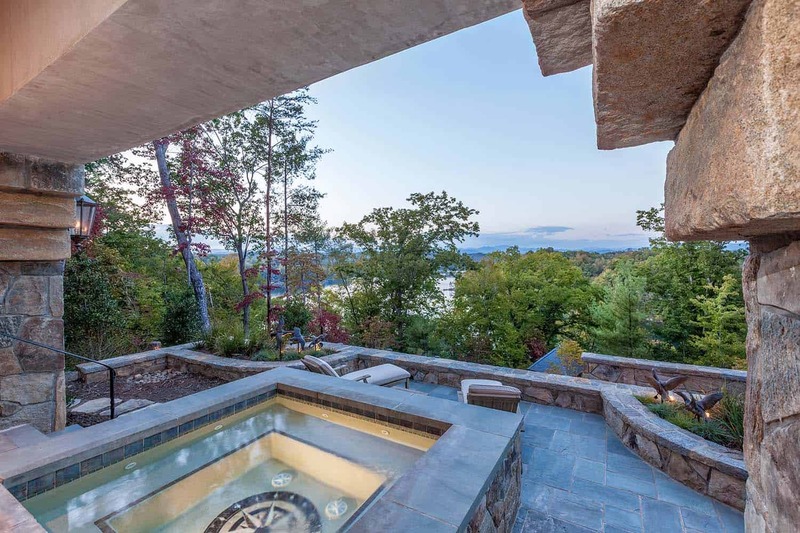 The stair turret provides access to all three levels of this residence, while custom iron windows frames views of both the lake and mountains beyond. 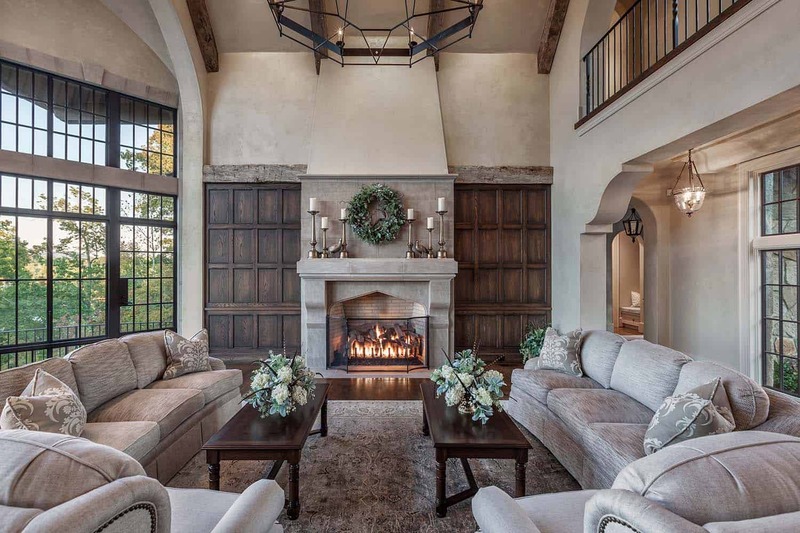 What We Love: This European-inspired property offers its homeowners warm and welcoming living spaces to enjoy both indoors and out. 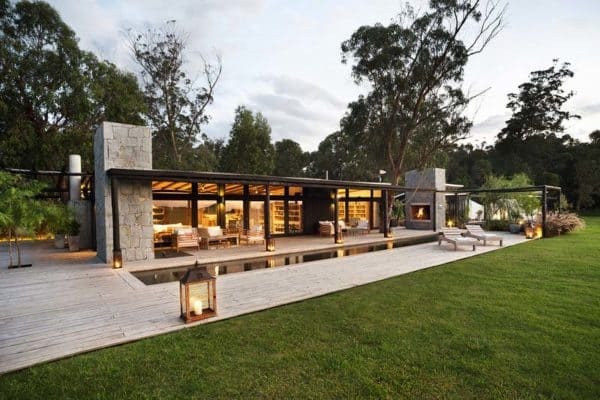 We are loving the terraced outdoor spaces that takes advantage of the magnificent views that surrounds this home. 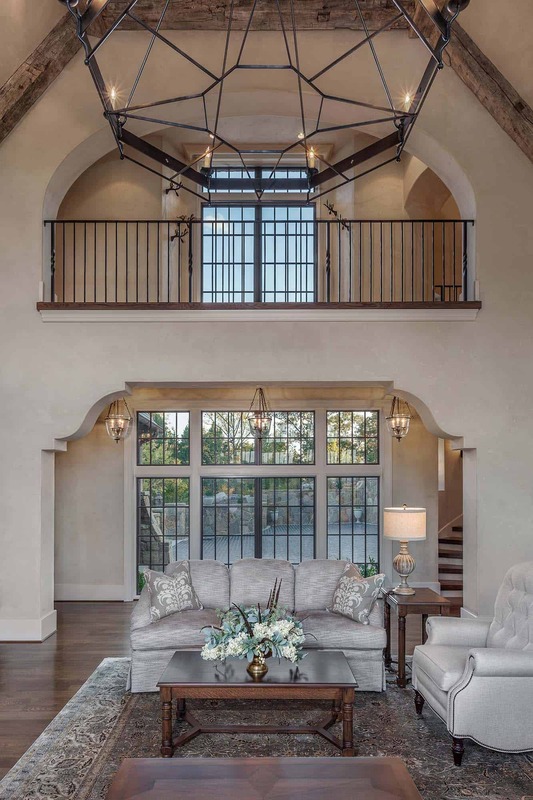 Indoor living spaces offers a neutral color palette with a sophisticated styling that is perfect for entertaining… Readers, what are your thoughts, are there any details you like or don’t like? 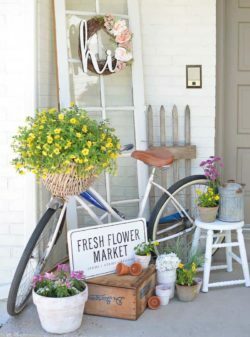 Note: As you look through this home tour, you will notice the “Related” tags. 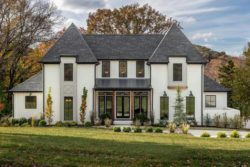 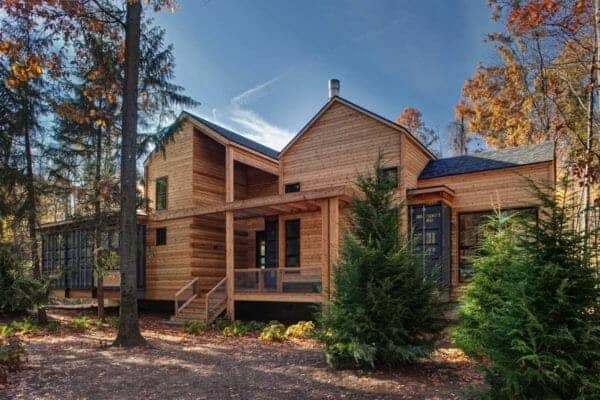 If you click on them, you will be taken to other featured home tours from the architect of this home, Wright Design. 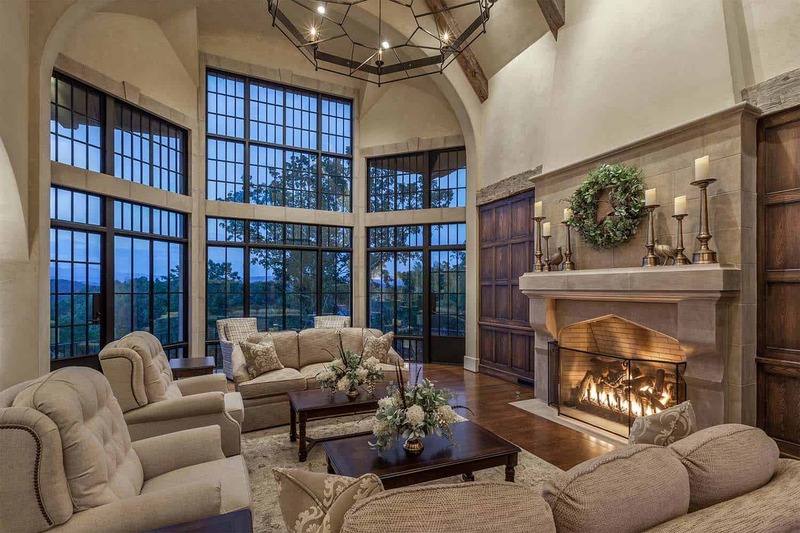 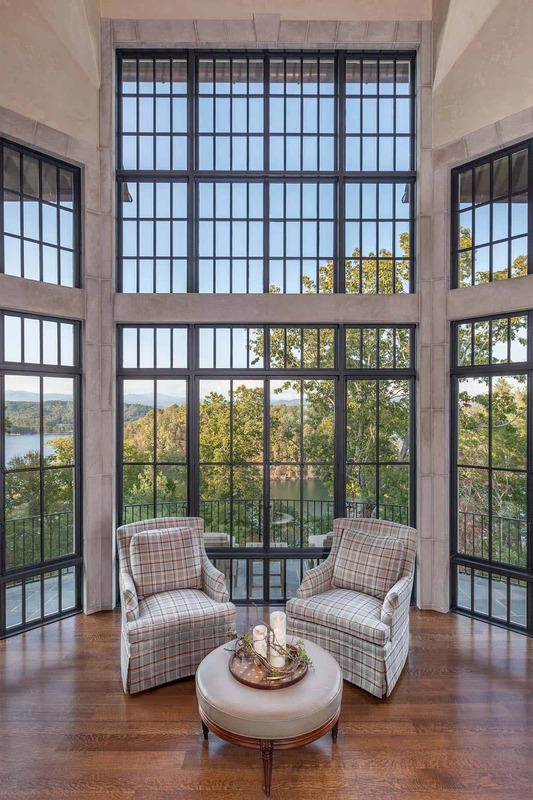 Above: Expansive windows frames views of the home’s beautiful surroundings, with Lake Keowee just beyond. 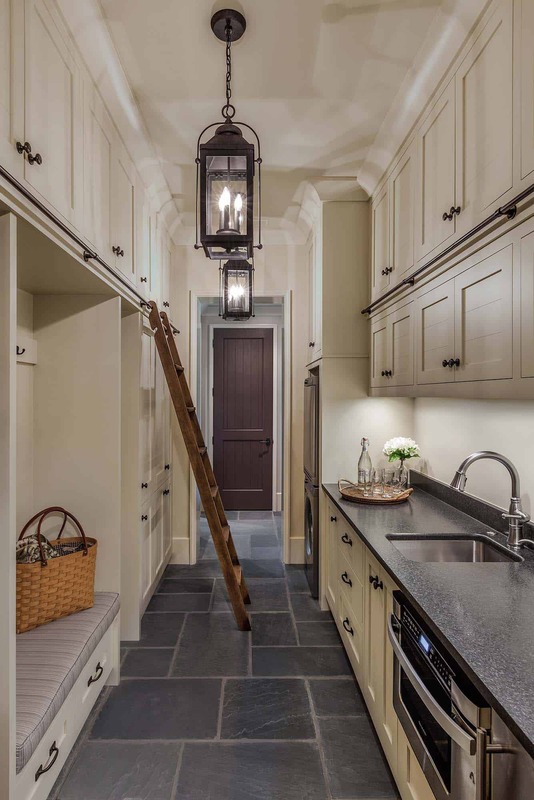 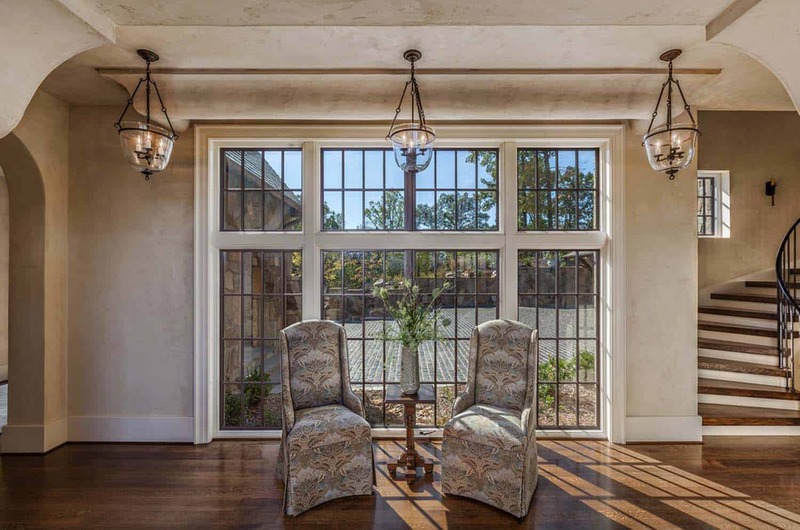 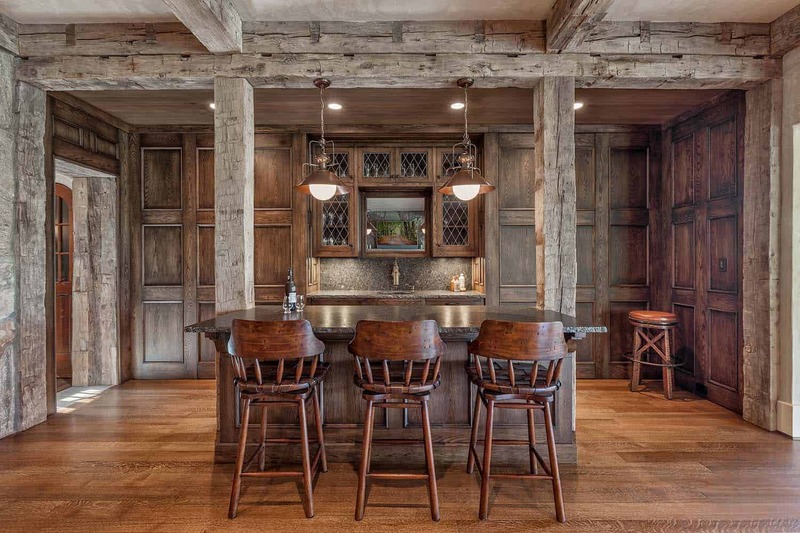 The interiors of this home features custom iron windows, beautiful plaster walls, reclaimed heart pine timbers, quartersawn oak floors and reclaimed oak millwork. 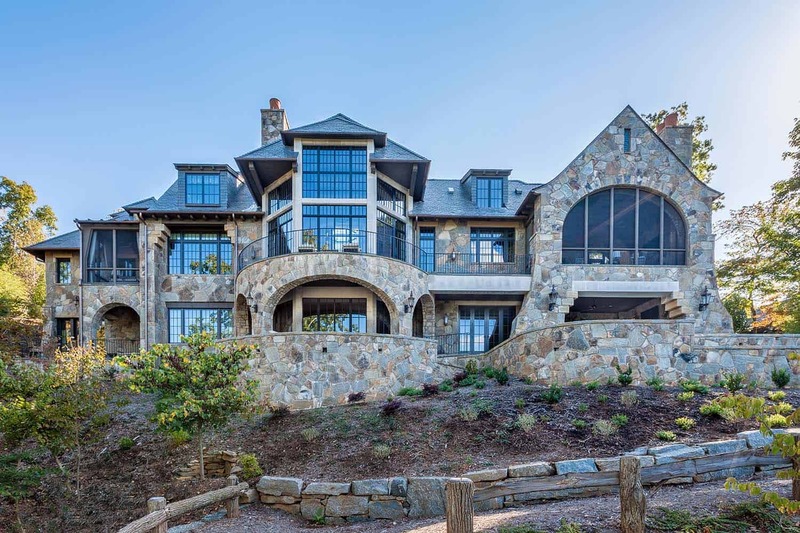 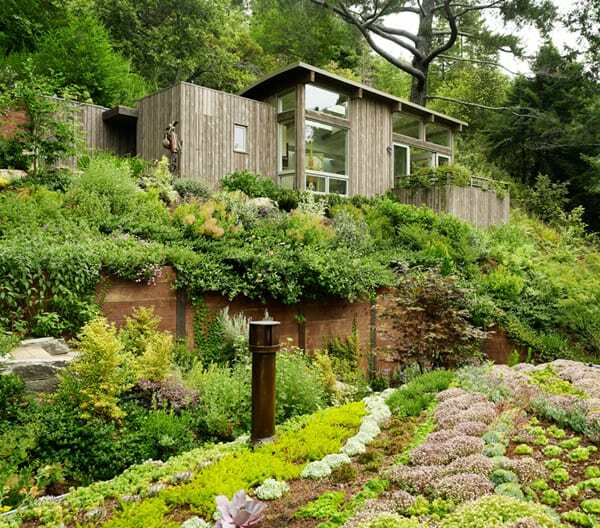 Above: The dwelling is set atop a ridgeline, affording breathtaking views of the surrounding environment, which includes mature growth trees, lake and mountain vistas. 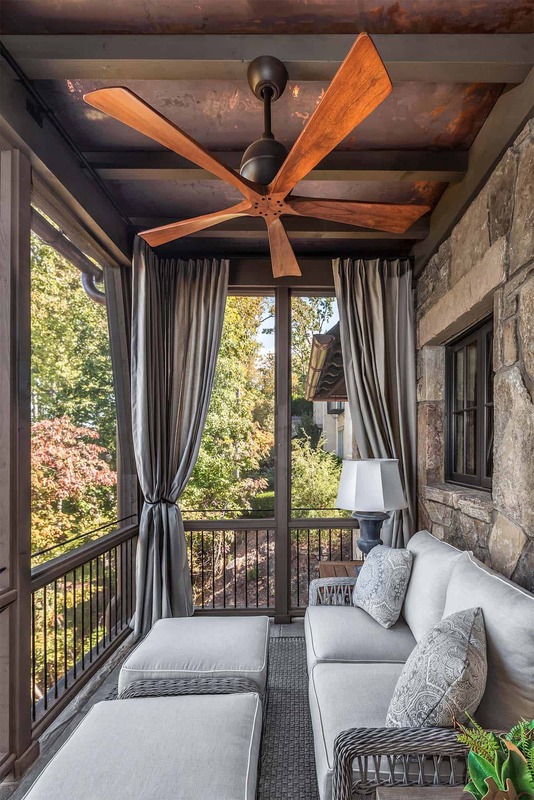 Outdoor terraces offers comfortable spaces for the homeowners to enjoy this tranquil environment. 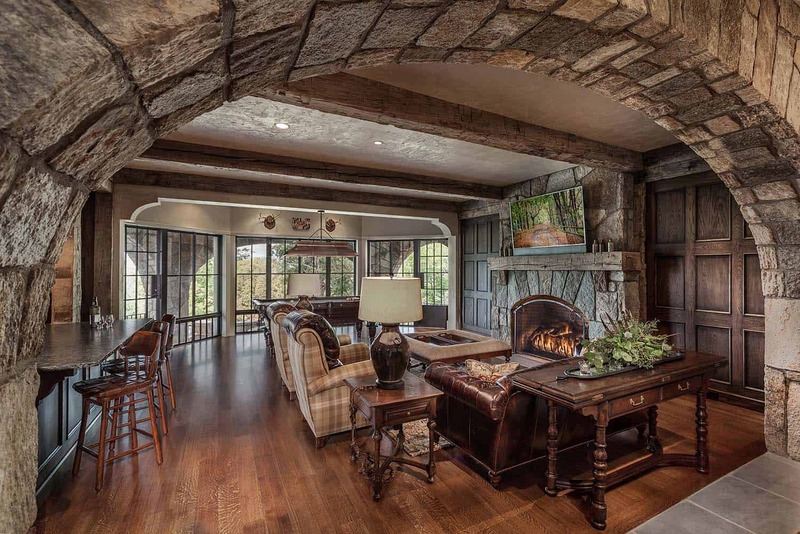 A built-in hot tub is perfect for entertaining family and friends.